It's a great day in terms of additions for my Card Project. I got three back in the mail today. As with the others, I sent out to these 3 on June 14th, so very happy with the quick turnaround, just as I was with the others I've posted over the past few days. 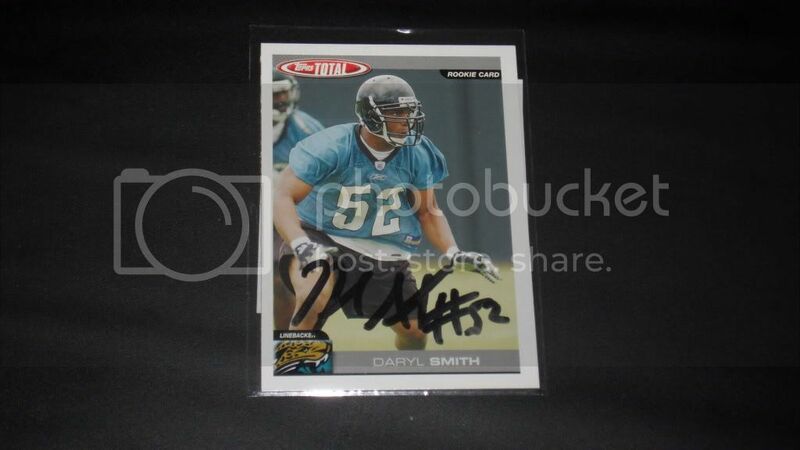 I'm especially happy to have gotten Daryl Smith back, since he's one of my current favorites, and in my opinion, the most underrated linebacker in the entire NFL. 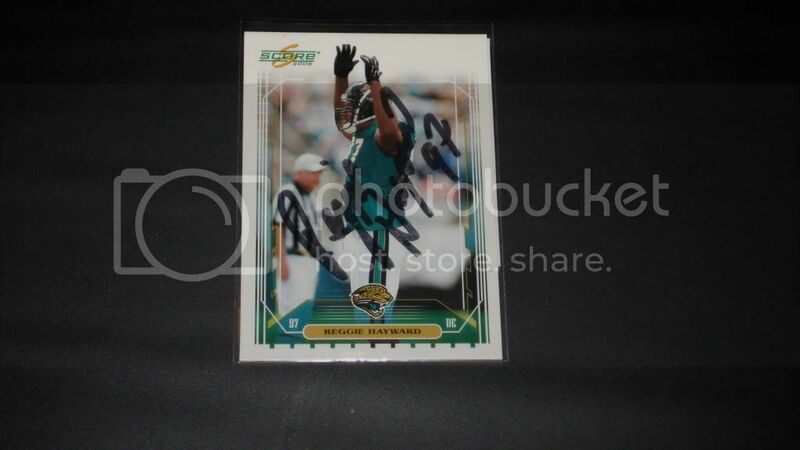 The other two that I got back today were Reggie Hayward (former Jags Defensive End), who was always awesome before suffering a huge injury two years ago against, yes, the Colts. :angry4: Lastly, I got Justin Durant back, Jaguars outside Linebacker over the last few years, who was just cut following this past season. I'm very pleased with this today... especially with the Daryl Smith card!! 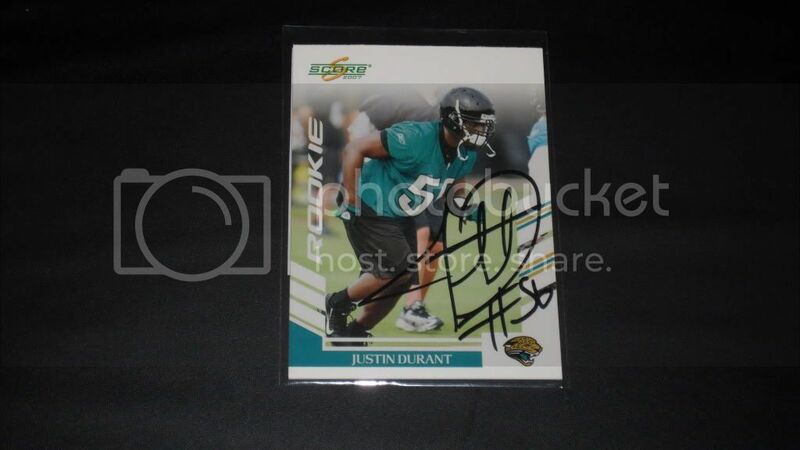 Justin Durant, recently released Jaguars outside Linebacker, currently a free agent.